Cataract is the most common cause of blurry vision complaints in the elderly. 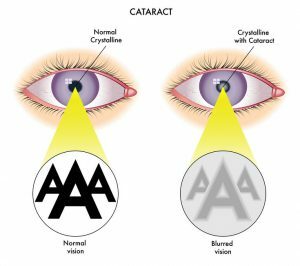 A cataract is a clouding or opacification of the normally clear crystalline lens of the eye. Most cataracts develop as part of the normal ageing process. The age at which cataract develop varies from person to person. While some may start developing cataracts in their forties, most do so only in their sixties to seventies. The rate of progression also varies from person to person. In some, the cataract slowly becomes more dense or ‘mature’ over many years, while in others the cataract may mature in matter of weeks. 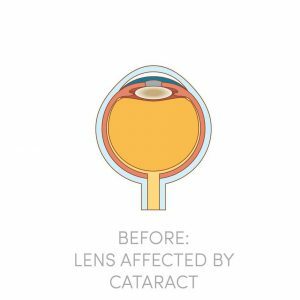 It is not true that cataracts can spread from eye to eye, although they are generally found in both eyes. The degree of cataract ‘maturity’ between two eyes is usually different. Therefore, vision in one eye is often described as better than the other. There is no evidence that excessive use of the eyes such as reading or watching television has any effect on the development of cataracts. The main complaint of a person with cataracts is blurred vision. In early cataracts, the blurred vision is often described as worse under strong sunlight or when the light is bright or when reading. Glare is another common complaint, especially when driving at night. As the cataract matures, the vision gets more and more blurred and colours appear less strong. In some early cataracts, vision may be improved slightly with corrective lenses. 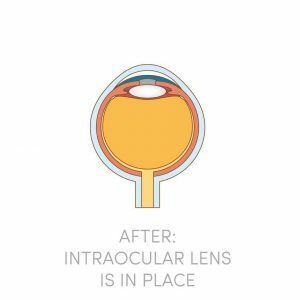 As the cataract matures, frequent changes of glasses are necessary and at some point, lenses will not help anymore. The only treatment available for cataract is to replace the eye’s natural lens with an artificial lens. There are no eye drops, pills or diets that are proven in curing cataracts. Laser too cannot be used to remove cataracts. The principles of cataract surgery are simple. 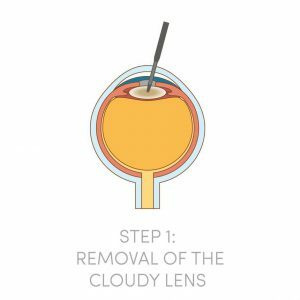 The cloudy lens is removed and replaced with an artificial intra-ocular lens implant made of biocompatible material such as acrylic, silicone or plastic materials. 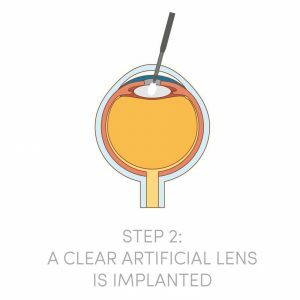 As every person’s eye power is different, the implanted lens has to be customized in terms of the lens power to neutralize most of any pre-existing refractive errors. This means that after cataract surgery, all patients can look forward to better vision without glasses!